Are approved used cars good value for money? 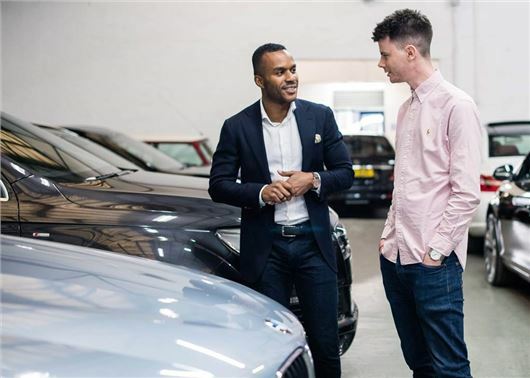 If you’re looking for a trustworthy and hassle-free way of buying a car, but don't have enough money to buy new, then an approved used scheme could be for you. Backed by the car manufacturer direct, a fully approved used scheme will give almost as much protection as a new car and provide numerous guarantees to verify the vehicle’s mileage, service history and mechanical condition. Most approved used cars are low mileage and limited to one or two owners too. On the downside, approved cars are much more expensive than used vehicles sold privately or via independent dealers. The premium varies from manufacturer to manufacturer. Sometimes it starts from just a few hundred pounds, sometimes significantly more. The standard of the warranty cover can also differ, with some sellers adding hidden exclusions and mileage limits that will allow them to avoid paying for any costly repairs. Where do approved used cars come from? Some are ex-demonstrators, direct from the dealer, while others are former fleet cars from the upper echelons of the manufacturer's management. The vast majority are usually sourced from ex-PCP stock, which now accounts for 85 per cent of all new cars sold. The growth of PCP has transformed the way people buy new cars, with the majority shunning outright ownership in favour of a lease agreement that spans two or three years. Most PCP customers replace their car with a new one at the end of the agreement, which means their old vehicle is sent back to the dealer. The knock-on effect of this has filled the used market with low-mileage, high spec, single owner cars. Most PCPs agreements have with strict limits on mileage and condition, which means after an in-depth refurbishment, they are usually as good as new. What should I look out for when comparing approved used cars? Once you've found a car that meets your needs, check the quality of the warranty. It should cover all of the vehicle's major mechanical parts against wear and tear, including the electronics and some clutch components. Most approved used schemes will provide a minimum of 12 months warranty, along with a fresh MoT, a full service and a 30 day money back promise if you're not 100 per cent satisfied. Other manufacturers will sweeten the deal with a longer warranty, breakdown cover, free insurance and a pledge to cover any potential costs incurred from the vehicle's next annual MoT. Always ask if the vehicle's mileage and service history has been verified. If it has, request that this information be put into writing. It's also wise to get a copy of the vehicle spec sheet, which will allow you to check that car has all of the equipment that the salesperson promised. What's an approved used car like? Launched over 20 years ago, Volvo Selekt provides some fairly comprehensive checks, including a history verification that tracks the vehicle right back to the factory's original build record. Volvo also provides a 100 point check plus the car's on-board computer systems are updated. We were invited into the workshop to witness the V40 go through the Selekt process. As you might expect from Volvo, the quality of the checklist was extremely high, with the workshop team assessing everything from the engine and gearbox, to the interior switches and seat upholstery. On the road, our used Volvo V40 D2 - powered by the 2.0-litre diesel engine with 150PS - felt as smooth and refined as a new car. Despite being three years old, with 26,000 miles on the clock, the interior was clean and unmarked, with no obvious signs of neglect. The cabin also felt solid, without any of the tell-tale rattles or squeaks, which usually manifest in a vehicle that's been on the road for a couple of years. Being an R-Design model, the V40 was filled with kit, including cruise control, navigation and panoramic sunroof. Everything worked as it should and the navigation was - as part of the approved process - updated with the latest maps. As with the latest V40, our car was comfortable and filled with soft touch materials. Priced at £14,995 (in October 2016) our Volvo Selekt V40 would have cost £26,000 when new (owing to the fact it is finished in the range topping R-Design trim). This means it is in the upper end of the price scale. A lower spec V40 would typically cost around £12,500 at an independent seller; although, with a bit of haggling, you might get the approved V40 closer to the £14k mark, which would reduce the premium and make it good value, given the level of protection supplied through the Selekt process. I recently bought a car almost £20000 from a Volvo dealer in Yorkshire that had been through the Selekt 100 point check and if you saw the body work of the car you would be in absolute shock. To start off the passenger side had filler across the two doors that had not been sanded down and was rough like sand paper. The paint work reflected light very oddly due to the filler causing a a bulge effect. There was overspray under the door handles and under them was a white residue from the filler. Wow what a bad experience. I paid extra for them to check the car and there were a number of issues on my 2013 XC90R. I have informed the dealer and Volvo and both are unwilling to sort it out. I spent more than I would on any car but I would never buy from a Selekt dealer again. I have had better quality cars with more thorough checks from cars bought off eBay by Independent dealers. Buyers beware! The car even missed its 4th full Volvo service but instead had an 'essential service' missing all of the required filters. This means that the book looked like it had a FSH but in fact it had not. This was only a minor issue in comparison to the aweful repair work carried out on the passenger side. What are Volvo's criteria for selecting a Selekt car? Clearly not what they say on their website: We select only the best available cars. We improve them through Volvo approved checks and then make them even better with the latest software upgrades. As a life long Volvo fan with 3 in my house (850R, 940SE Turbo and a C30 T5) I really wanted an XC90R but I don't think Volvo is any different to most car sales companies. Sell, sell, sell! I recently bought an XC90R 2013 with 50K miles on the clock from a Volvo dealer in Yorkshire. It cost me almost £20,000 and was my biggest investment after my house. Well what can I say about Selekt. Stay well away! The car I bought had a passenger door that according to the Manager "needed buffing". When I got home and had it checked by a garage they said the door had had significant repair work carried out on it that was one of the lowest standards that they had ever seen. The filler was visible and there were pits in the paintwork making it look and feel awful. The lines of the car were not in tact and there was even filler under the door handle and overspray under them too. How on earth could Volvo say they "select only the best available cars. We improve them through Volvo approved checks and then make them even better with the latest software upgrades." The garage didn't seem to be that bothered and I asked for refund as I have lost total confidence in the garage. Needless to say they said no and I am not in no mans land. Don't want the car and cannot sell it due to the really poor bodywork. I would rather have the money back and give it to an honest garage (or even private owner) that isn't going to claim their cars have 100 point check and that sell me an honest car. This is by far my worst car buying experience. I have had some excellent ones in the past but sadly not at this Volvo dealer. Please avoid Selekt at all costs as you can get much better cars from other sources.